This competition depending on the conditions of nature. The Lake Vidöstern is a very tough lake to master, swimming. The wind often blows with a strength of 4-7 m/s. Fog is quite common. Your participation is all at your own risk. Your ability to be well prepared, persistent and to navigate on your own puts you to a test. 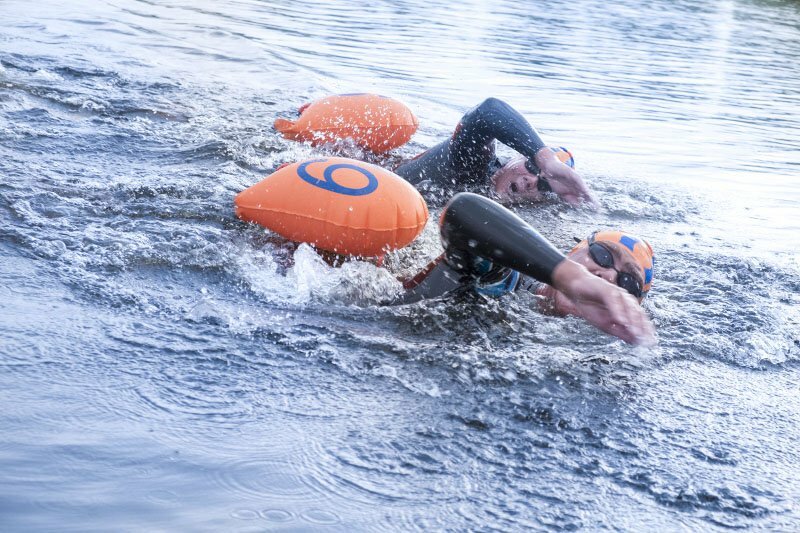 Your ability to swim long distances on your own, to stand cramp, seasickness, cold, fatigue, pain, handle lack of nourishment and liquid is a part of the race. The security is well dimensioned but on purpose leaves a part of the responsibility to you, as a swimmer. You own responsibility is part of the challenge. To be allowed to participate in the race you will have to sign a document where you take on full responsibility. Your presence is mandatory at the meeting Friday August 9, at 7 to 8 pm (Swedish), at Hotell Tre Liljor. At 6.15 to 6.50 pm we quickly give the information in English. This time slot is only for English speaking participants. We go through the race (start, depots, weather forecast, water tempreature, etc.) and answer all your questions. After the meeting you will have your final chance to decide wether you will swim with or without a wetsuit. You will be offered coffee and something small to eat. Participation is entirely at your risk. To be allowed to start you will sign a document of exemption from responsibility after the Prerace meeting. A wetsuit is one of the safety measurements in this race. It is obligatory for safety reasons for you and the arranger. If you are an experienced Open Water Swimmer used to swim without a wetsuit, there is a category for that. 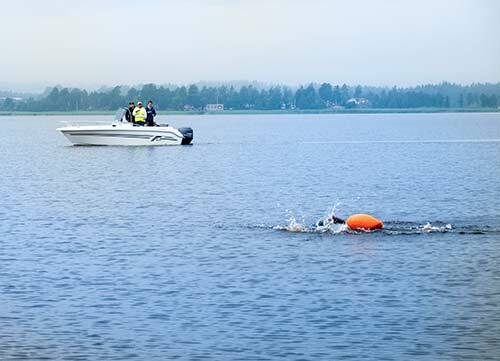 We follow the recommendations of the Swedish Swimming Federation concerning the use of a wetsuit and exhort you to follow them too: “Below 16° C a wetsuit is obligatory, between 16° C and 18° C a wetsuit is recommended, between 18° C and 23° C a wetsuit is allowed. Above 23° C a wetsuit is not allowed for health reasons”. 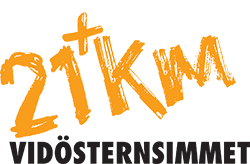 In case the temperature would be above 23° C the race management highly recommends that you carry out the race without a wetsuit, but cannot oblige you to do so. Current temperatures will be given at the Prerace meeting. Throughout the entire race the responsibility for you health is yours. → to show where you are. It is attached to your waist and it floats about half a meter behind you. All swimmers must use the swim cap handed out to you at the prerace meeting. There will be boats all along the track, one per 1000 meters, going back and forth. It is your responsibility to notify a member of the race staff if you decide to discontinue the race. A doctor and other medically trained person with knowledge of CPR will be present at the race. A doctor and other medically trained person with knowledge of CPR will be present at the race. Along the entire race there will be about 20 big, yellow buoys to facilitate your navigation, at approximately a distance of 1000 meters. If you would diverge from the course, functionaries on boats will help you back on track. In bad weather conditions which endanger the safety of swimmers and crew, cancel the entire arrangement. To be able to maintain a high security we have set time limits at the depots. If you arrive after the string has been set up you will be taken out of the race and may NOT, under any circumstances continue the race. Clarification: Even if you have your boat accompanying you, you may NOT continue. Even if you miss the time by only one minute, you may NOT continue. Even if you throw away your safe swimmer and swim cap and say that you don´t care about the competition, you only want to swim to the finish line; you may NOT continue. The maximum time to achieve an official position and a “Finish T-shirt” is 10.5 hours. All those who pass the stop at Ekens before 3.15 PM and then complete the race receive a medal, even if the time exceeds the 10.5 hours. There will be five depots where you can get drinks, food and energy. Food/energy: Maxim Gel (LONG LASTING ENERGY DRINK, INSTANT GEL DRINK, INSTANT ENERGY GEL ), Maxim bar (ENERGY BAR), bananas, buns, Snicker´s, candy. If you want your own food, in addition to what we offer, it is your own responsibility. All the private food is put in a box, marked “specialkost” (special food). From that box you catch your food during the race at the depots. When you reach the final destination you are served food, coffee and waffles. We arrange for you to be picked up at 5.45 am on the day of race in Central Värnamo. You will then be in the starting area at 6.15 am. 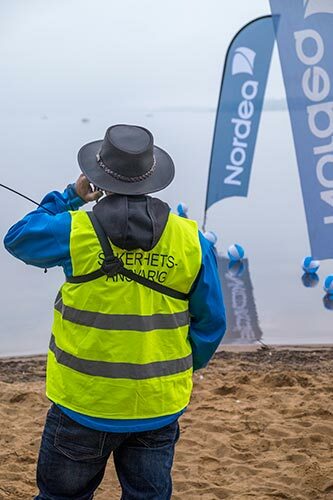 Notify the race management by mail (info@vidosternsimmet.se) or at the Prerace meeting the evening before if and where you want to be picked up. You may bring your own car to the start, there is a parking lot nearby (see map). We will arrange for you to get back to your car or Central Värnamo after the race. You notify the reception at the finishing area. You may choose between the following departures from Sundet; 2.30, 3.15, 4, 4.45, 5.30 and 6.15 pm. Transportation of your change of clothes is taken care of. There are no changing rooms at the start, which means that you change your clothes outdoors. You put your belongings in a marked, black plastic bag, which we transport to the finishing area. 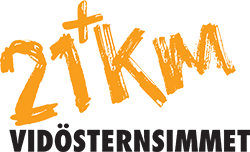 There are toilets at the start and at the depots at Tånnö, E4:ans Camping, Ekens Camping and at the finishing area. If you decide to discontinue the race, immediately notify nearest functionary on land or in a boat. You will be picked up within 15-30 minutes and will be taken to the finish area where you will find your clothes, a hot tub, food and a possibility to shower. Then there is a regular transportation from the finishing area back to the start or Central Värnamo.